Convict with Sunglasses - Cummins Prison Farm, Texas (1972). 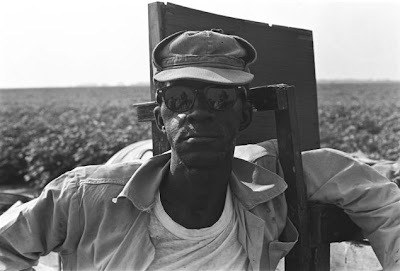 Mother Jones is running this photo essay of work by Bruce Jackson - from a decades long project on prison farms in Texas and Arkansas. P.S. : In the small world category, it seems that Jackson lives just down the road in Buffalo! An Interview with Bob Moses . . .